Warning: The Desurium client has ceased development and won't compile anymore on recent versions of openSUSE. 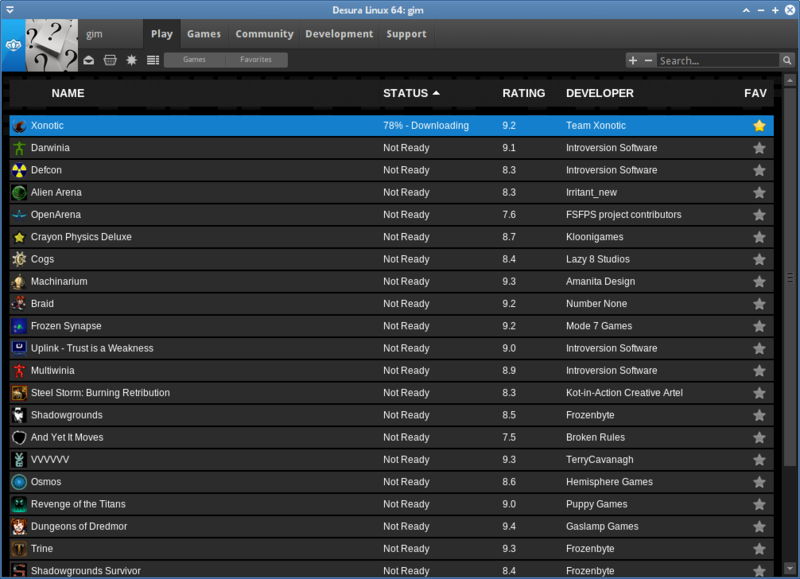 Desura is an Open Source games digital distribution service. The unbranded client Desurium is Open Source. This page was last modified on 1 December 2016, at 00:44.